Wondering if you really need a home inspection? The decision is yours, but we believe that the best answer is YES! Home inspections are done by a third party home inspector, they will find any flaws or defects in your property of choice. Defects found? Many times, sellers will offer a credit for repairs that need to be done to your dream home for DEFECTS only. Effective in all property types here in Maryland such as single family homes, condos, etc. 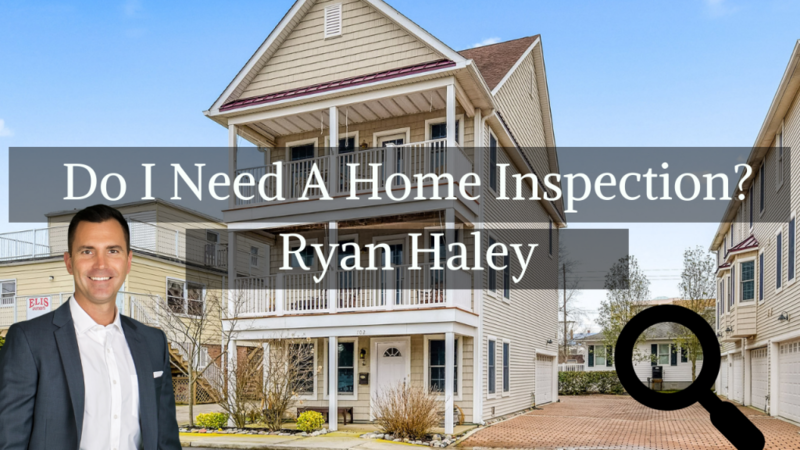 Join Ryan Haley as he explains in more detail home inspection addendums and contingencies that we see in the Maryland residential contract of sale. 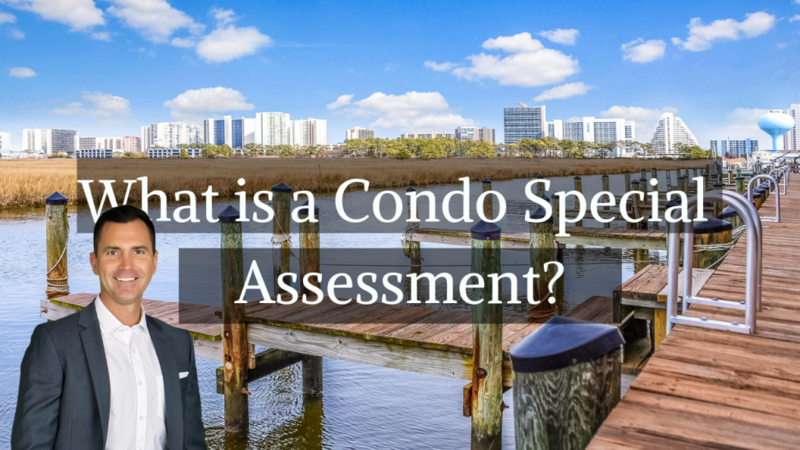 Special assessments are over and above the ongoing condo fee, voted and brought on by the condo association. For example if a new roof, multiple elevators ect. are needed to replace something in the building, The condo association will come up with a budget and charge that extra cost quarterly in addition to your condo fees. Watch Ryan Haley for additional, detailed information on special assessments. 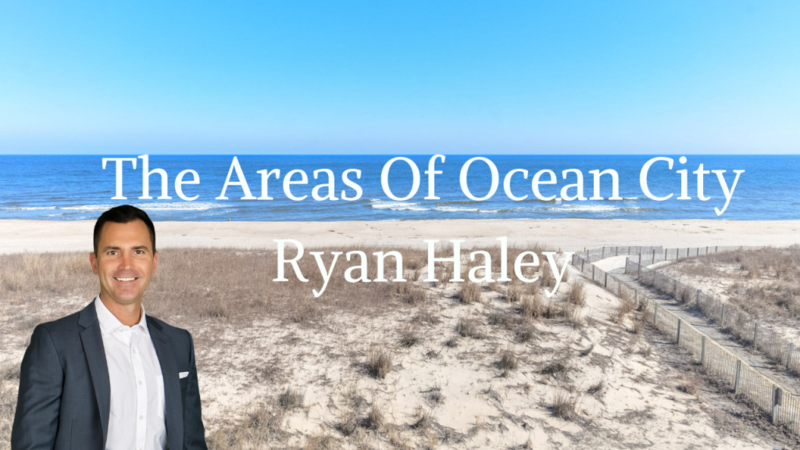 Confused about the areas of Ocean City Maryland while searching for property? Our 10 mile long thin island has a few different location descriptions. Ocean front is right on the beach. You may see units in a condo referred to as ocean front indirect view, which is in an ocean front building but set back a bit. Ocean block – east of coastal highway, not upfront on the beach. Bayside – does not touch any water (bay, canal) Bayside waterfront- touching some type of water (canal, bay) Bayfront is directly on the bay. not a canal. 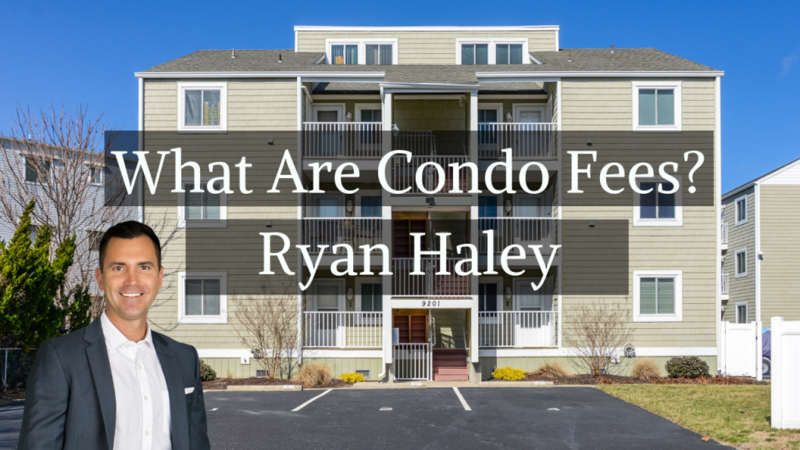 What is a condo fee? From high to low condo fees depend on the owners and board of the specific building. They vote on future plans for the building, insurance price and come up with a budget. they then go to all owners within the building and charge an equal part of that budget to each owner. Condo fees will normally cover exterior building, water usage, insurance (wind, fire ect.) amenities (pools elevators, parks ect.) A good condo association is always looking ahead. 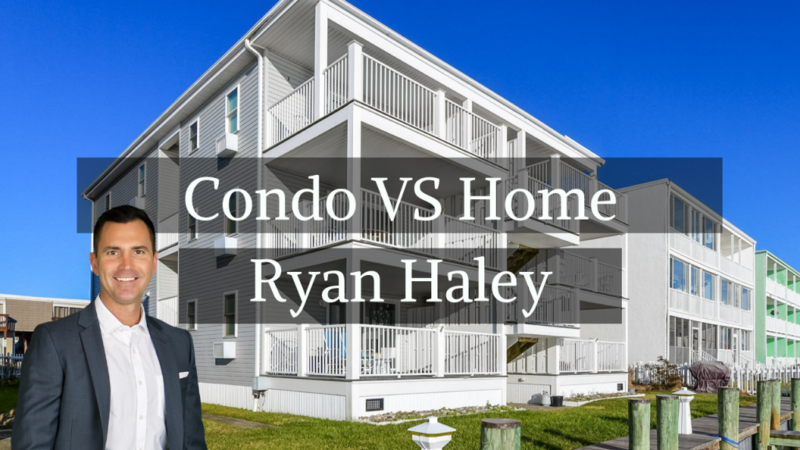 Watch Ryan Haley for more details on our Ocean City Condo fees. Condominiums VS Single family homes. In Ocean City, there is a limited number of homes. Most properties on our island are condominiums. They have an included condominium fee that contribute to outside/ building maintenance, insurance ext. Most Condos are sold fully furnished, Cheaper option for being ON the beach and are shared with others similar to an apartment complex. With single Family homes you are more on your own. The decisions are yours. Both are great property investment/ opportunities, it all matters on what fits your life style!